This immaculately maintained 3 BR/2BA home is conveniently located less than a mile from the village center. Beautifully sited and landscaped with many perennials such as hydrangea, burning bush, dogwood, rose bushes, Lillie of the Valley, Japanese Maple and Birch trees just to name a few. From your expansive wrap-around deck you&apos;ll enjoy both sunrises over the Green Mountains and sunsets over the Adirondacks. 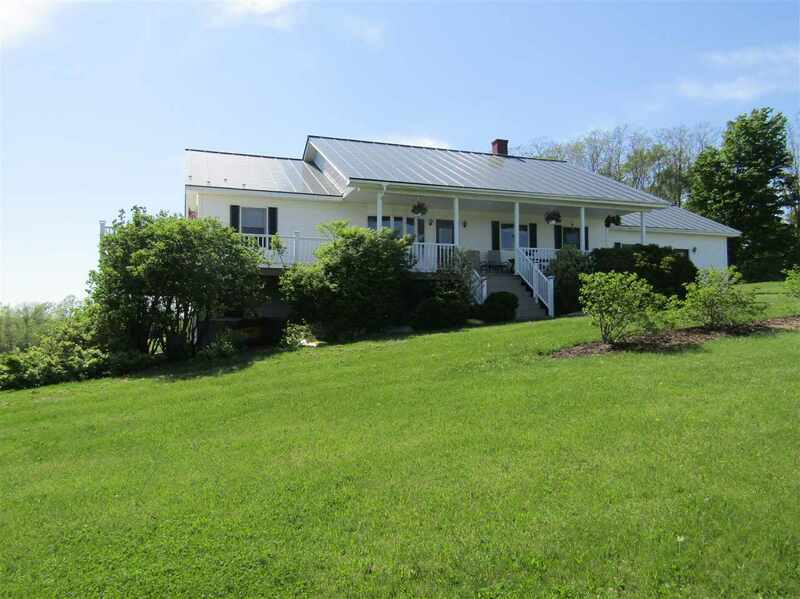 Paved drive, vinyl siding, standing seam roof and composite deck are a few of the features that make this beautiful ranch home easy to maintain. Situated on a 50 acre parcel, this property also includes a 2BR mobile home (with its own well and septic) currently used as a rental property. Additional income is produced from the tillable land (in current use program) with hay and corn crop managed by a neighboring farmer. Don&apos;t miss this rare opportunity....Come see where home could be! Room 1 Dimensions: 10&apos;6" X 16&apos;4"
Room 2 Dimensions: 15&apos;3" X 16&apos;4"
Room 3 Dimensions: 12&apos;6" X 8&apos;4"
Room 5 Dimensions: 12&apos;4" X 12&apos;8"
Room 6 Dimensions: 14&apos;x 16&apos;4"